You’ve probably heard that journaling is a very powerful practice. It’s a great way to let go of stress and anxiety, process your emotions, and connect with your true self and your deeply held value and beliefs. I grab my journal whenever I’m feeling stressed, overwhelmed, or unsure. Since I started journaling, I’ve become more connected to my intuition and inner guidance as well as calmer and more centred. Journaling played a huge role in me healing my relationship with food and cultivating self love - it's taught me to be gentle with myself, something I used to be very, (very! ), bad at. Maybe because it is so powerful, journaling is something a lot of us have some resistance to. Let me guess – writing just isn’t your ‘thing’? (But maybe it could be!) Or maybe you ‘don’t have time’? (Sometimes we have to make time). Or maybe you’re not sure where to start? That’s where journal prompts come in – acting kind of like a self interview, they will guide you to write on topics that you might find it a little tricky to just sit down and riff on. One of my favourite areas to use journaling is to discover your passion, direction and purpose - so I've created a free guide for you! Enter your details below and have my Find Your Purpose journaling prompts (plus regular free meditations and inspiration!) delivered straight to your inbox so you can print them out and get writing! A great place to start is by reading through the list and getting started right away with a prompt that jumps out at you. 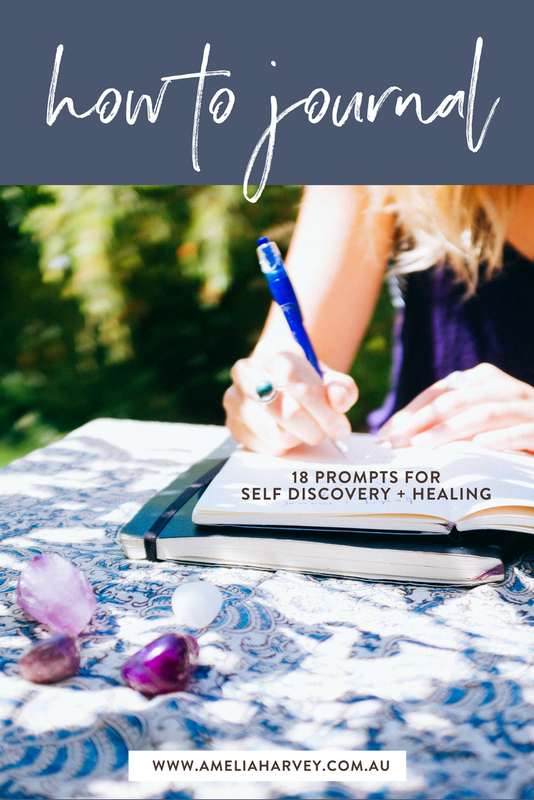 If you'd like to know about getting started with and deepening your journaling practice to target your specific blockages, I have created From the Heart, a step-by-step guide on journaling your way to inner peace, clarity, and self love. You can check it out here.